Offering Hawaii Island tours and educating readers about our favorite spots on the Big Island is a passion of mine, and the concept behind this website. I fell in love with the Big Island as soon as I arrived in early 2011. As an avid traveler, adventurer, and outdoor educator it was only natural that I would eventually make it to Hawaii. But what was originally a 2-week vacation turned into something much bigger! With so many enticing places to explore, I realized soon after arriving that I would need to live here in order to truly experience the entire island. And so I stayed. Prior to my arrival in Hawaii I was a camp director, wilderness guide and outdoor educator for most of my career. I have organized and led young adults on backpacking expeditions and outdoor adventures through the Alps and the Colorado Rockies, and guided countless whitewater rafting trips across the west, including 3-week adventures navigating the Grand Canyon on the Colorado River. 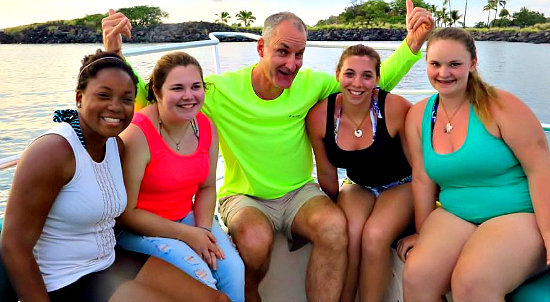 With more than 30 years of experience providing experiential learning and adventure programs to young people and adults, I now focus most of my time leading teens and families in outdoor education adventures on the Big Island. Why Hawaii? Upon arrival, I was immediately struck by the remarkable diversity and uniqueness of the Big Island. Much more than simply beautiful beaches and a dreamy tropical climate, this island seemed to offer something unlike any other place on the entire planet. In fact the real fascination of the Big Island is the unparalleled collection of ecosystems, its unique plant, animal, land and ocean features. It is amazing to be able to travel from tropical rainforest to arid desert, or from warm ocean waters to polar tundra, in a single day! No place else has this level of ecosystem diversity, making it an ideal natural classroom for Hawaii Island tours and teen adventure programs. And so the natural classroom of the Big Island presented an opportunity to share a unique perspective of our world, by offering student travel and experiential education, Hawaii summer programs for middle/high school students, and teen summer adventure camps. Additionally, what better way to share my experience and help other travelers plan the perfect Hawaii vacation than a website dedicated to all things Hawaii? More specifically, this is a detailed and comprehensive guide to the Big Island that I have come to know and love. I have explored the Big Island extensively and continue to research new opportunities. It is my hope that by sharing insights, knowledge, passion and excitement for the Big Island through this website, your own experience in Hawaii will be all the more rewarding. Each island has its own unique character and charm. In fact, different parts of the Big Island itself have their own slightly different feel. Some places you will love and never want to leave, while others may challenge you. With a week or even a month, you can't possibly see it all. So use this website as an insider's guide, helping you choose the attractions and adventures most suitable to your particular style. Consider it your own Hawaii Big Island travel guide. Today I enjoy welcoming groups of teens for 1-week student travel programs several times a year, and offer single-day adventures for teens and families already vacationing in Hawaii. I'm always seeking out new adventures for our travelers, and researching new opportunities for our readers. 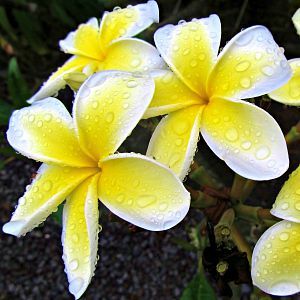 It is my hope that you will find this website to be a valuable resource for your next trip to Hawaii. Use it as your own personal guide, whether you are already on the island or planning your next vacation. Questions or comments? Contact me! I also depend on input from you, our visitors. This website is designed to be interactive so please take advantage of the various pages that invite reader feedback and share experiences from your own Hawaii Island tours! Other readers will appreciate your input. Thank you for joining us on this grand adventure in exploring the Big Island! I hope you come back often.